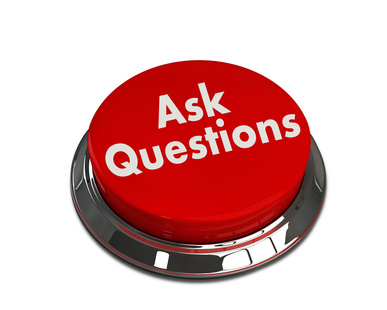 Ask more questions. This is the best piece of advice I can share with you, and it will make you more successful in sales and all other aspects of life that involves interacting with humans. If you want to establish real relationships and understand what motivates those whom you are engaged with you have to ask questions and listen to what they have to say. Talking is easy, but listening is the key to all success. When you are the one speaking, you cannot be learning. When the other person is telling you about their situation they are leaving clues that will help you solve their problems. People buy from you to fill a void or fix an issue, and if you are not clear on their motivation, they will buy from the sales person who shows them they understand. Customers buy your product or service on their terms, not yours. We spend a lot of time memorizing elevator pitches and product positioning statements, but if we simply memorized more open-ended questions, we could create better connections and win more business. I will admit that I have struggled with this all my life. I am a story-teller by nature and having grown up in a big Irish family I learned early to spin a tale. I like to entertain others, and a good story is a natural way to make a connection. But in sales it can also hurt if you lead with too many words. I continue to learn this lesson, but when I begin with an inquisitive intention and actively hear what the prospect has to say, I close more sales. A good way to remember to ask more questions before presenting your solutions is to prepare a list of things to ask everyone. This list will vary based on your industry and the individual with whom you are talking, but you should start with two or three open-ended questions that allows them to share the details they are facing. After they spell out the big picture you need to move into clarifying questions to make sure that you are clear on their unique situation. Everyone faces different situations and when you make assumptions about why they are looking to buy, it can be far too easy to slide into a canned pitch. It is okay to keep a list of written questions with you so that you can refer to them. Most people will appreciate the attention to detail you are paying to their unique circumstances. Over time these questions will become easier to remember and you will train yourself not to lead with too much talking. You can practice this anywhere, even in non-sales settings. Each time you meet someone new try to ask them three questions in a causal but genuinely curious manner. They should not be canned like "what's your name?" or "Where do you work? ", although in a polite situation those might be necessary questions, too. Try to get to what motivates them or how they got where they are. I tried this experiment in line at a Starbucks recently and had a very interesting conversation with a World War II veteran and his grandson. While it was not a business conversation, it was fascinating and made my whole day better. Being curious about people in all aspects of your life can be a secret weapon. There are several ways to prospect, and no one way is right for every sales person in every industry. The key is to remember that prospecting is a process and to be successful you have to always be working a variety of efforts. My own business as a professional speaker relies mainly on referrals. The most effective way for me to discover new opportunities is through word-of-mouth. However, if you sit around and wait for referrals to show up, you will most likely not have enough business. You need to keep your referral sources and others constantly informed about what you are doing, what is new with your business, and remind them how much you appreciate their support. Networking is another key way to prospect. Being visible in your business community will bring you in contact with potential clients and referral sources. (I talked more about "networking" in The ABCs of Sales - N is for Networking). 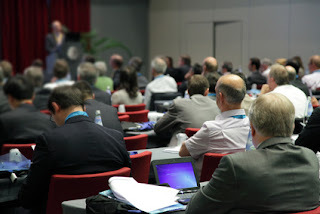 One of the best ways to prospect is to speak at industry events and / or to host educational events. When you are the speaker you are automatically positioned as the expert in your field. The same is true for writing articles for business oriented magazines and blogs. Invest time in teaching others and they will think of you when the time comes to buy your products or services. Finally, while cold-calling may sound "old-school", it can still be an great way to reach out to people. It is hard to reach people, as most have voicemail and do not return calls, but if you have an interesting product and can clearly and concisely communicate your message, there are some who will return you call. The key is to have a thick skin and realize than many people will say "no". That is okay, as a few might say "yes". Fear of rejection keeps many sales people from cold calling, but those who pick up the phone regularly are often the most successful. Sales is hard, which is why it can pay so well. But to reach the top of the financial pay scale you have to become a master at prospecting. There are no short cuts. If this was easy, everyone would do it. Few jobs will offer as much opportunity as a career in sales. If you can succeed in selling you will always be in demand. Great sales people are important to the success of every company, and they are compensated at the highest levels. The best companies value the skills it takes to thrive in a business development role. Many mistakenly discredit sales, thinking it is not a key role in the business. Some are jealous of the freedom from being in the office that sales people enjoy, and fail to see the real work that happens. But selling is one of the hardest ways to earn a living. To consistently succeed a sales professional must work long hours and always be seeking new ways to discover prospective clients. Those who do the best do not take rejection personally and are willing to work long hours. Income from sales jobs is heavily (or totally) commission based. While this turns off those who prefer to have a set salary, it excites those who want unlimited upside in their earning. If a salesperson is aggressive and driven to make a lot of money, sales will give them opportunities that others will not find in their job. I spent my early career selling a variety of products and services. The more I succeeded, the more money I earned, but also the more career opportunities came along. Smart sales managers are always looking for top talent, and they are willing to hire sales people from other industries. It is easier to teach someone about a new product than it is to teach them how to prospect, cultivate leads, present, and close. The top tier of sales professionals are not focused on single transactions, but instead are focused on long-term relationships. But most important is they are results driven. Their resumes show where and how they have impacted the top line of the companies where they have worked. Talk and theory only go so far in a career of selling. You are always able to quantify a sales professional's effectiveness based on their success at bringing in new business. This can be scary for some, but is why the best sales people love to share the details of their history. To have a career with unlimited opportunity a sales person needs to be confident. Belief in "self" and bold actions position you with clients, prospects, competitors, and others as the one to watch in your industry. If you study those who are offered the best jobs in sales you will find people who are never complacent or rest on their past success. They know their potential and couple that with the necessary actions to keep learning and growing. A sales career is hard work and there are ups and downs in all industries, but the people who sell and are willing to do the work will always have a path to income. A lifetime in sales will bring a lot of interesting experiences and a variety of jobs offers. It can also bring great financial reward. Selling is the path to opportunity. With the PCMA Convening Leaders event just days away I am getting some inquiries from friends and clients about fun things to do in Austin (since I have lived in the Texas Capital for 25 years). Here are some ideas, but there are so many more. 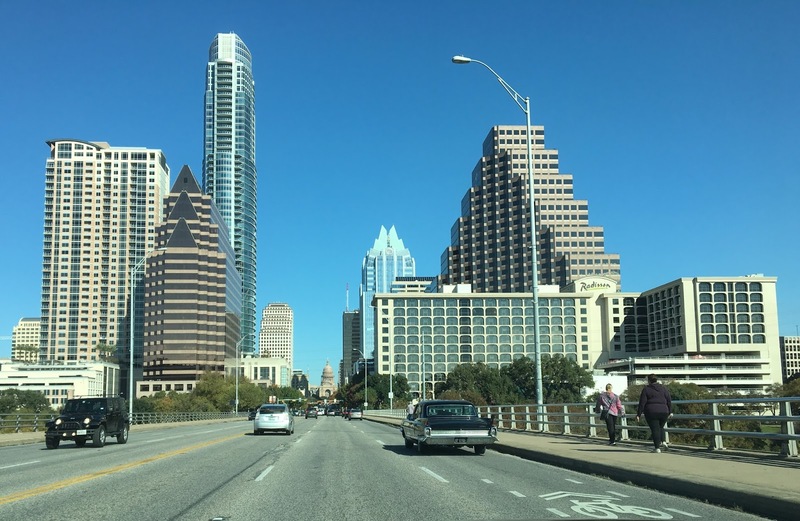 Just a few restaurants you may want to try-- but you will need a car to get to some of them...or take Ride Austin (like Uber - but we dont have uber in Austin). Geraldine's (Restaurant in Van Zandt Hotel- Rainey Street). Wow, this is good food. Fun upscale atmosphere. Taco Deli (several locations). BEST TACOS (some will say Torchy's are the best tacos. They are wrong... but close 2nd). Note...Taco Deli is only open for breakfast and lunch. Hula Hut. Sitting outside on the lake is awesome. Jo's Coffee on South Congress. This is where the famous "I love you so much" graffiti wall is locate (you may not know what I am talking about... but when you see it you will say "oh, I have seen that".... as everyone takes a photo in front of it and posts to FB). Mozart's coffee. On Lake Austin. Great local coffee and a patio you will never forget if we have great weather. Lick ice cream. Weird flavors. Voodoo Donuts (yea, yea, they are HQ'd in Portland... but they are 5 blocks from Convention Center on 6th Street and open 24 hours. The donuts are awesome). Iron Works... (dive BBQ place on back side of Convention Center... awesome). Winflo is medium/high end but great food. Three Forks is my favorite steakhouse, but Sullivan's, Vince Young Steak House, Bob's Chop House, and Perry's are all great. This is just a start. South Congress Ave. This is the Keep Austin Weird area, and mostly local shops.... but the chains are coming as the real estate is now pricey and it may lose its charm in a few years... so wander around now, as next time you come to town it will all be The Gap and Donna Karan stores. Also, one of the first Food Trucks that started the whole national food trailer "thing" is HEY CUPCAKE in SoCo. Take a Segway tour. Yes, even as a local I have done this... they show you downtown and it is a lot of fun. 6th Street. This is the famous street with all the bars and all the bands play on the weekends. Lots of live music, booze, etc... Mostly where the college kids go... and with 50K undergrads at UT... there are lots out at night. Go to Esthers Follies. This is a vaudeville style show on 6th on Thurs, Fri and Sat. It sells out most nights, so buy tickets in advance. 8 PM and 10 PM Shows. One block from hotel. 2nd/4th Street area (Warehouse District). Most warehouses being torn down for high rise condos ... but lots of good bars and restaurants. More grown up crowd. Tour the UT campus. Maybe get a tour to top of tower (need reservations). Texas State Museum. This is cooler than you would think.... and Texas has a really rich history. Most who go are surprised about all the stuff they learn about this state (we are more than cowboy boots and GW Bush). Buy your Cowboy Boots (many come to town and shop at Allen's Boots on South Congress). It is next door to Guero's Taco Bar. You have heard about the Bats that live in the bridge? Yep, Austin is the home of the largest colony of bats... but they dont live here in the winter. Come back in July. Walk along Lady Bird Lake. 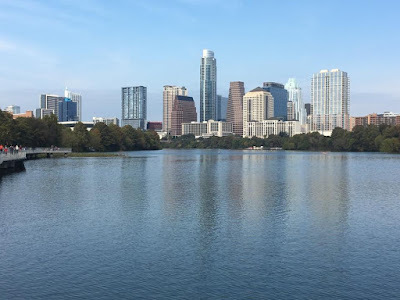 I call it Town Lake, as that was the name until the former first lady (Lady Bird Johnson) died in 2007 (yes, she lived that long). They have a nice running trail that goes on both sides. If you run... this is your trail. If the weather is good go have drinks on the 2nd story outdoor patio at the Steven F Austin hotel (7th and Congress AV). this is my favorite place to drink beer or wine on a good day. Also there is an outdoor bar in the new Marriott Hotel (2nd and Congress). And the bar in the Driskill Hotel has a cool copper ceiling..check it out. Take the Duck Tour. Yes, many cities have these now... but Austin's has been around as long as I remember. You get to see a lot of thing. There you have it folks. This will keep you busy, but my list only scratches the surface. Welcome to all my PCMA Friends!!! Austin is a wonderful and weird city. Enjoy the food, party feeling, and the super nice people. Buy lots of stuff (we appreciate the economic boost). Get up early on Monday and Tuesday at Convening Leaders and attend the morning orientation (I am leading this session both days... come say hello and start your day with some motivation, education, and I promise you will meet some new people. Both sessions are different, so come to one or both). All opportunities come from people. To reach your full potential you need a group of peers to help you connect the dots, as no individual can ever be aware of everything that is happening in their business community. The most successful sales professionals are often great at creating long-term and mutually beneficial relationships with clients, prospects, referral sources and even competitors. Networking is not about just getting leads or other personal gains. As mentioned above you have to cultivate long-term and mutually beneficial relationships, which means real networking means helping others reach their highest potential. Average performers justify they are too busy with their own jobs to think about ways to assist others, but the most successful know that a rising tide raises all boats. You cannot sell most products or services by hiding behind social media. All things being equal, people do business with those they know, like, and trust. It used to be that getting to know someone was long process and along the way came "like" and "trust" (or not). But over the past decade the ease of discovering basic information via the internet has mistakenly made it seem like people all "know" each other. But really they just know "about" them. It is harder to get to like and trust without some personal interactions, and this is where being engaged with other is they key. Networking should not be seen as an action you take when you need something, but instead it must be a part of your lifestyle. Those who make networking a second-tier priority will have second-tier results. To realize the benefits from networking one has to have a long-term focus. Finding ways to help others achieve their goals will come back many times over a career. It is important to remember that networking is NOT sales. But sales efforts without the human connection will often come up short. Do not confuse networking activities with sales activities, but remember that a transaction without any long-term meaning is simply a transaction. When we do business with another person it can be a foundation for future opportunities. However if the purpose is simply to get the sale, and there is not investment in the person, we should not be surprised when our client's referrals and future business go to our competition. Some argue that they do not have time to invest in a relationship with everyone they meet. I believe we must choose people every time. This does not mean everyone becomes your best friend, but if you honor every person many will return the favor. Most people you encounter have very interesting parts to their lives beyond signing your contract. Ask questions and listen to the answers. Be curious. You will not have an ongoing "love connection" with everybody, but if you are open to it, you will create some powerful business friendships along the way. Every time you are in a sales situation remind yourself that the person on the other side of the transaction is a person... .and all people have a life beyond the product or service being discussed. Make it a point to find out about their life. If you are interested in them they will become interested in you. Networking is the creation of long-term and mutually-beneficial relationships between two or more people where everyone involved gains more from the connections than they would without the connections. It is that simple. 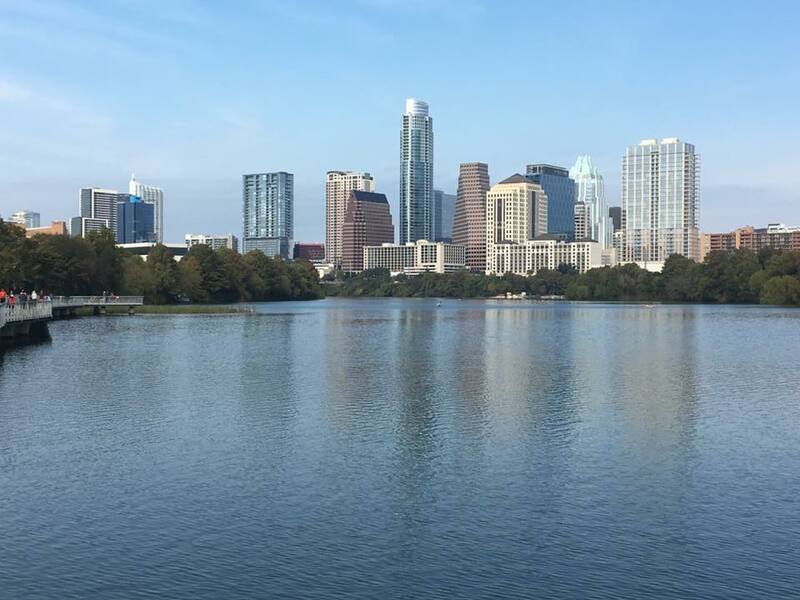 In January the Professional Convention Managers Association (PCMA) will be hosting their annual "Convening Leaders" conference in my home city of Austin, Texas. I am excited that so many clients, freinds, and others in the convention industry will be here in the Capital of Texas. Thousands of event professionals will convene for a week of high level learning, fun, and networking. Regardless of industry, a top reason people attend conventions is the "Networking Opportunities" -- but once they arrive on-site many fail at the process of making legitimate, meaningful and long-lasting connections. Below is an excerpt from my "Conference Catalyst" content on how to maximize an event. Having a plan, making networking a priority, and being focused on how to help others are just a few of the steps that will allow anyone to get the most value from attending these types of events. Follow up is the key to creating mutually beneficial and ongoing conversations. - And it is important to remember that successful networking connections never happens by accident. 1. Have a plan. Know in advance whom you want to meet. Do not leave your networking to chance. Reach out to peers, vendors, speakers, and others before you arrive and schedule times to meet up in person. 2. Bring plenty of business cards. In today’s digital world some argue against the importance of business cards. But having a card is not for you, it is for the other person. Some people forget names quickly and asking for a card helps them recall your details. Telling someone “Google Me” is making them work to keep in touch. Additionally we don’t all use the same technologies, so using a special app assumes we all adopt the same tools. Not carrying business cards can be selfish, and selfish is so last year! 3. Do not focus on meeting the celebrities. While meeting famous authors, speakers, and other industry gurus is fun, you are one of hundreds who will come up to them and shove a card in their hands. Instead, place your focus on meeting other people who are like you that are in attendance at the event. It is peers with whom you are most likely to bond with and create real long lasting mutually beneficial friendships. 4. Talk to the people sitting next to you. When you walk into a general session or breakout, take the time before the presentation begins to say hello to the people seated around you. I call this the "power of hello". Once you have said something as simple as "hello", the conversation will begin to flow nataurally. Small conversatinos will also lead to longer talks later in the week if you see them again. 5. Ask questions of people you meet. Never lead with your "elevator pitch". People are more interested in themselves than they are in you, so ask them questions to help them get to talking. A great question is "why did you decide to attend this event?" 6. Put your technology away. Do not run to your iPhone or tablet at every break. When you are working on electronics you send the message that you are unapproachable and busy. Utilize the time on coffee breaks to converse with other humans who are present at the event. Look around and smile rather than texting. 7. Do not automatically send a LinkedIn or Facebook request. Too often people immediately send social networking link requests to people they just met. However, different people have different policies about whom they link online. If they believe in only connecting with those whom they have established relationships, you make it awkward if you send them a link too early (which they then ignore). Best is to ask people if they would welcome such a link at this time. Be respectful of the fact that they might use social networking differently than you do. Immediately following them on Twitter or Instagram is okay, as Twitter does not require a mutual connection acceptance. 8. Read their stuff. Many people are active bloggers, tweeters, podcasters, authors, etc... If people create the content, seek out their work and read it. A great way to get to know people by reading their stuff. Telling someone you follow their blog or podcast will instantly make them join the conversation, as they will be honored. 9. Introduce people to eachother. When you meet cool people, be the conduit that connects them with others who might be beneficial to them. This includes those at the conference, as well as other people you might know back home. If you ask the right types of questions, you will easily spot connections that can help others. Don't ever worry about "what's in it for me", but instead just be the person who connects. You will find over time that others will help you too if they know you naturally a giver. 10. Follow up. If you meet interesting people and you never follow up, it makes no difference. Own the follow up after the conference and send positive emails (or better yet, a handwritten note) telling them how much you enjoyed talking with them, and plan for future discussions. 11. Do more than others expect from you. Bring more to a new relationship than the other person expects and they will always remember you as someone who is a giver. Invite them along to lunch or dinner with your group of friends or get them into a cool party. Those who help others always get more down the line. If you are going to the PCMA Conference.... or any industry convention.... make your networking efforts count! **If you are attending Convening Leaders, be sure to come to the Morning Orientation at 7:00 AM on Monday and Tuesday. Thom Singer will be hosting these daily kick-offs, and we will do more by 8:00 AM than most people will do all day!! You can network in a politically charged world. 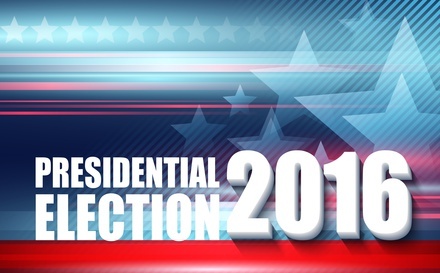 The 2016 election in the United States lasted a long time and was an emotionally charged experience for many people. The success of Donald Trump was viewed with surprise by people on both sides of the aisle and the reactions from American’s bridged feelings spanning from excitement to horror. But the sun came up again and people have returned to work. The deep divisions between Democrats, Republicans and Independents are real and yet most people interact in a professional capacity with countless others who do not share their political views. We live in a country with citizens who have a variety of opinions on all subjects, and we must not let our beliefs stop our ability to do our jobs. How can those who are so opposed in the ballot box co-exist and even thrive in the work place and in their communities? There had been lot of ill feelings building for months and it had become common for people on Facebook, Twitter, and other social media sites to announce they were unfollowing those who supported candidates of whom they did not approve. The morning after the election it got worse with people announcing that they hated the souls of anyone who did not vote in the same way they did and wanted to never have contact with people who had chosen different options than they did in the election. Disapproval has become a common look in people’s eyes if they encountered anyone, on-line or in person, who had cast votes that did not match their own. Anger and hate toward a candidate has morphed into how we now feel about all their supporters. Even those who voted the same way are suspect if their reaction to the election results (positive or negative) is not in alignment. The CEO of Grubhub, Matt Maloney, wrote an emotional email to his employees after the election slamming the policies of the president-elect and asking for the resignation of those on his team who voted for Mr. Trump. His emotional email, which went public, brought a lot of negative attention on him and his company. The stock priced even dipped, and Maloney had to apologize. While he was not fired, he easily could have been in today’s politically correct climate. We should all learn to think before letting our emotions allow us say things that can offend people in our business network. While deep and raw feelings are being churned up by the Electoral College map and popular vote numbers, can we still build business relationships in the post-election world? Should we network when the hot potato of politics is still so fresh on our minds? I say yes, but we all must proceed with awareness that transcends our personal opinions about the election cycle. We must accept that things do not always go the way had hoped. If things did go our way we should not gloat. Business and personal relationships should be able to go beyond elections, and we can learn and grow when we are around people with different points of view. 2. Do not assume others share your opinions. 3. Look for topics that are less controversial. 5. There is rarely value in debating politics in a business setting. 7. If you disagree, simply state you have a different outlook. 8. Remember that politics are personal and emotional for many people. 9. You can’t change the mind of people about their vote. 10. Be respectful. (yes, I said that twice, because in today’s society this is a good reminder). No matter what happens with the new president, there will be opportunities for everyone. In good time and in bad times, under Republican presidents and Democrat presidents, there are people who achieve business success. You are in charge of your own economy. Do not let the narrative in Washington DC keep you from creating long-term and mutually beneficial relationships in your business community. Motivation is necessary for success in sales, but different people are motivated by different things. One of the hardest things for a sales manager to do is to keep everyone on their team fired up and working at their personal best. Some believe that sales people are only motivated by money, but that is not true. While money is important, and the best sales people will leave a company that is not generously compensating their efforts, there are more things going on in the minds of successful sales people than just cash. Being a contributor to a successful organization is what gets some people charged up and working hard, while others are pulled along by the recognition of being the best and are motivated by leader boards, incentive trips, and other types of public kudos. Others like the independence of a sales career, and just want to be left alone to get the job done. Then there are the sales people who are turned on by opportunity and will do whatever it takes to get the next promotion. The best sales manager I ever had (his name is Steve) found individual ways to get the most out of his team. The little perks he provided were not costly and were tailored to each person. A single mom who met her quota would be encouraged to take the afternoon off, while the newlywed would be given the go ahead to expense a plane ticket for their spouse to join them on a business trip. For me it was sushi. I was young and could not afford too eat sushi, so he would give me a challenge goal and if I hit it he would take me to lunch or dinner while he was in visiting in my city. He had to eat anyway, and he was also a fan of good sushi. I worked harder and we both won on many levels. My experience is that motivation is a very personal thing and must be aligned between the individual and the company. Not every strategy for motivation is right for every person, and the sales professional must take ownership of their own path to stay focused on producing at their highest levels. Companies need to invest in training and incentives, but each person in sales needs to find their own motivational triggers on a daily basis. Reading books, blogs and articles as well as listening to motivational audio books and podcasts are often the easiest way to keep enthusiasm for your own peak performance. Getting up early to read, or tuning into audio while driving is a valuable investment in your personal success. Finding the right experts that speak your language will get your mind focused on the little things you need to do on a regular basis. Additionally, exercise, eating right, and getting enough sleep are important to keeping your mind and body operating at their top levels. If you are tired and feeling sluggish you will never be able to keep up with the constant demands of a sales career. And do not forget to take time to think, meditate, and visualize. Your brain needs a chance to recharge and if you are not building in time to find clarity in your head, you will easily get distracted from your goals. When unclear what you are trying to accomplish, it is difficult to stay motivated. Motivation is not hard to find and keep if you make it a priority. If you want to be a top producer in your career then you have to embrace what works to keep you focused and taking positive actions. This is not hocus-pocus and each person will need their own set of tools to create the right environment for their personality and job situation. But being motivated is necessary, and to lose sight of this could mean a lot of mediocre days in your future. What worked yesterday many not work today, and all bets are off for tomorrow. Sales people have to constantly be seeking new knowledge about their products, services, clients, industries, etc... But that is not all they must learn. Studying the art and science of selling is also key to sustaining a long term career. Sales professionals must be life-long learners if they want to win more business. Years ago it was the sales person who controlled the conversation about their product or service. In a sales call they were their to introduce the buyer to what they had to sell, and guide them to making the purchase. I began selling in a day where I would bring a folder to a meeting and paper sheet by paper sheet I would expose the prospective client to the features and benefits of what I was selling. They did not have many options to learn about me, my company or my product until I came in the door. Today, before a sales person ever sets foot in the meeting the information is available online and the understanding of the products and services people buy are much higher. Buyers are more sophisticated and a sales person who is behaving as if the buyer is not up to speed will find themselves wasting their time. Conversations have to begin at a much higher level and being a successful sales person means honing your skills all the time. There are many ways to learn and the most successful are always trying to get better at their craft. Reading books and articles, listening to podcasts, and attending training classes are common activities for those who work in sales. Most who sell turn their cars into mobile classrooms and listen to books on tape instead of music while driving to appointments. They want to maximize their skills and do not like to waste time. The School of Hard Knocks is also a powerful way to learn. Those who are aware and honest of their own failings are usually able to discover the areas where they have come up short and improve for the next time. After every sales, win or lose, doing a debrief about how you handled the situation will help you get stronger for the next opportunity. If you lose a sale, don't blame or pout, use it as a learning experience. Knowledge is power in a busy and noisy world. The sales person who wants to win more deals dedicates time to learning. They are sponges who are actively soaking up nuggets of information and new ideas that will help them be more effective. They talk to their peers about what works, and are open to fresh ideas. There is no place for stubborn in a fast changing and competitive environment. Learning never ends for those in sales, and if you have not worked on advancing your product knowledge, understanding of your market, and fine tuning sales skills in the last week, you may be falling behind your competition. Many who write about sales lament being "nice" as a bad thing. Some sales leaders espouse that if you are too nice you cannot close sales. There is a whole movement to train those who sell that buyers only want efficient sales people who get right to value, as they do not have time for relationships. Is there really a demise of nice sales people or is this just a contrarian way for consultants to get more business? While I agree that sales professionals must provide clear value and respect the time of their clients and prospects, I disagree that nice is ever a negative. We live in a world with a lot of narcissistic jerks, and many of them certainly find success in sales. The inconsiderate still win much of the time, but I have never met anyone who prefers to do business with those who are nasty and unpleasant. Even in our busy world, people still want to do business with those they know, like, and trust. The problem is that with our leaning toward efficiency over everything else we now assume we "know" people because we can Google them and find their profiles on social media. Getting to know someone used to be a process and along the way came "like" and "trust" (or it didn't). Today we jump to a superficial level of knowing each other, and rarely do people get to a deeper relationship. But is this by choice? Sales professionals must work hard and show value quickly. But a survey by HubSpot Research shows the top words associated with sales people are pushy, biased, and aggressive. Is this how we want to be known? Most sales managers would cringe at their team being seen in this way, but we are supporting these behaviors and teaching actions that lead us away from "kind". Most professionals would prefer to be known as “trustworthy” and “helpful" in their selling role. I do not believe you can have this as your reputation if you are not first "kind". A trustworthy jerk or a helpful sleazeball are not possible and certainly not the way to a sustainable career. Over a lifetime in sales you will have more success if you are compassionate, thoughtful and gracious. Do not fall prey to those who think the human connection no longer matters. The prediction of the death of nice sales people is greatly exaggerated. Kindness never goes out of style. Getting involved with your trade association, chamber of commerce, or other industry club is a smart idea. It is even smarter to be active in the associations where your clients participate. Over the long run the people who invest their time in organizations will build a reputation in their business community. Being known in a world full of noise and distractions is benefit that can never be taken away. It can also be a key to promotions and new career opportunities. While it might sound cliché, it is true that people do business with those they know, like and trust. Joining and being active in industry groups is one of the best ways to becoming known, liked and trusted. Sales people dismiss the idea of joining associations for two reasons. The first one I hear far too often is that there are too many of their competitors in the group. While your own industry organization might only have competitors, your client’s trade group is made up of people to whom you can do business. If you skip out because your competition got their first you are handing them a lifetime of relationships. Being late to the party does not mean you cannot cultivate important connections. It will take time, but if you are present and a contributor to the community, you will enhance your network. The second reason people say they do not join organizations is the time commitment. To discover the value from joining business association you must do more than pay dues. To have successful return on investment you are going to have to attend the meetings, be active in online chat, and volunteer to serve on committees. Yes, there is an investment, but most people in business waste a lot of time doing “research” (which often means surfing the internet, or doing other useless tasks. Participation with clients, prospects, industry vendors, and even competitors can have a long term impact on your sales and your career. Most companies will cover the costs of membership and attending monthly meetings or annual conventions. It is common for sales oriented companies to sponsor events or host booths at association events. But to maximize this investment they are better served when someone from the company steps up and is active in the group. If you take on this role, you will also be recognized for your efforts. If you company will not pay your dues to join groups, you may want to consider paying your own way. Joining organizations is an investment in getting to know many of the movers and shakers in an industry. While present at meetings make it a point to get face time with the people you most want to know. Remember that meeting someone once does not make them part of your network, and it can take seven to ten interactions with a person before they start to recognize you. Thus your expectations from joining group must have a long-term focus. All opportunities come from people and joining associations, chambers of commerce, and other business clubs will lead you to more success. Associations are more relevant than ever, and membership has its privileges. Peak performers in all careers have a deep seeded intensity when it comes to achieving success. You see it in sports, business, politics, etc... If you are going to reach the top you have to always be able to excel regardless of the obstacles that appear in your path, and selling is definitely not for the faint at heart. When we think of an intense color we imagine one that is strong and bold. When weather has intense temperatures we know there is extreme hot or extreme cold. In physics if something is intense it has a magnitude of energy or force per unit of area, volume or time. Similarly with people and their emotional intensity we know they have high levels of emotional excitement and depth of feeling. For sales people, their intensity is paramount to their continued success. They must have a drive for continuous improvement and a never quit attitude. This is part of their daily focus.Regardless of your goals, success does not happen by accident. You need to intensely focus on the little things everyday to reach continue to discover new prospects and cultivate the relationship through what can often be a long sales process. The ones who continue to exceed expectations in a sales career know in their hearts that they will be one of the great ones in their company and industry. They possess an intensity about success that is never indecisive. Sales professionals have a fierceness about getting the jobs done and they show it. Wading in the shallow end is not their style. They dive right in and make things happen. When you are hungry for more business you will find ways to innovate. Genuinely needing more business makes a sales person work harder, try new things, and never stop hunting. Being a "hungry" is a good thing if you have a career in sales. Those who remain top performers month over month never lose that desire inside their souls to find more deals. The most successful do not sit back and wait for the phone to ring. Top producers are not solely prospecting via social media and hoping or wishing the right customer will see their tweet. The best are always pushing to find a new customer, and they are never passive about in their efforts. Before going home for the day they make one or two more calls, because they know that selling is a numbers game. If your life, or the life of your family, depended on you finding the next prospect you would do whatever it took to discover new business. 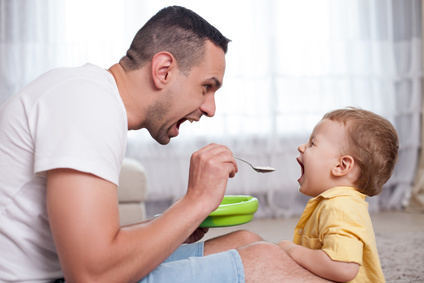 Being hungry a key to ongoing sales success. Yet humans can get comfortable and not even realize it. It is common that once people reach a certain level of of personal income that they begin to behave differently. They rest on their past successes and fail to keep up the same level of intensity they did when they were new and hungry. Early in my career I worked for a sales manager who was great at praising success, but once he did that he pointed out that contract was now officially the past. He would then want to hear what his team had in the pipeline. What was next. Some people did not like how quickly he dismissed a victory, but I always understood that was his way of keeping us from resting on our laurels. Throughout a lifetime you will have times when you are more hungry than others. You will see the results in your bottom line. Those who chase ever lead as if their life depended on it will have more clients over the long run. If you are in one of those times when you are not feeling as hungry, you need to assess what is keeping you from being as aggressive as you could be. Feeling content, or "full" is never the right mindset for anyone who is sales focused. You have to have a little worry about what tomorrow may hold so that you will not let up in your pursuits of business development. Sales professionals, small business owners, solopreneurs and who are directly linked to their new business numbers should stay hungry everyday. This is not about being paranoid, but instead being realistic that past performance will not mean you are meeting your numbers tomorrow. A healthy concern about the future the way to keep that hunger stirring. How hungry are you to succeed at selling? Setting goals is important for everyone, but more so for those who make their living selling. Often time sales managers will set monthly, quarterly and annual quotas, and tracking the progress toward achieving these benchmarks is easy. But you need more than a sales quota. You need goals of what you want to achieve in all aspects of your life. If you do not know where you are going, you have no way of knowing when you arrive. There must be a strategic plan that helps advance. You are well served when you set clearly defined and realistic business and personal goals that help you stay focused on what you want to accomplish. Without a known purpose and a way to measure success you can invest a lot of time and see few results. Chasing a sales number by itself will not lead to getting the new business and enjoying the journey of your career. If you know what you are trying to do, and whom you desire as clients, then your choices on how to invest your time becomes easier to understand. Some people roll their eyes at the idea of goal setting, mistakenly thinking that the concept is "motivational fluff". They question if the act of writing down a goal has any meaningful value. But it is not setting the goal that has the power, it is how the goal will keep you focused on the desired outcome. The target must be something that the individual wants to achieve and it must be realistic. Goal setting is not about random wishes, but instead it is about creating an atmosphere that makes people perform to a higher level. When you have accepted a set of goals there is no wiggle-room skipping out on the efforts. Goals make you accountable for your actions. Sales people who miss quota and are not doing the work to create a pipeline of opportunities are quickly exposed. An experienced sales manager will know when someone is not focused on reaching their goal, and those people will be managed closely and or given the opportunity to explore new employment options. Having clearly defined goals it makes it easy to make decisions. This allows you to ask if a particular action moves you closer to your goals, or leads you in the wrong direction. The answer makes choices easier in how you spend time everyday. A goal transforms your participation in marketing, networking, prospecting, client relations, and community involvement activities into something tangible. When a sales person understand the driving purpose of what they want, they will work smarter. Goals take time to accomplish. Those who dream of a quick fix to raising their profile and making more sales, without doing the work, will be disappointed. It takes time to become successful at selling, but there will be little progress without a goal. It is too easy to get distracted and this can limit your success. Sales professionals who create plans and work toward their achievement of goals are more likely to succeed in building a sustainable business year over year. You cannot leave your future to luck. To successfully create a list of goals that are attainable, realistic and measurable you must dedicate time to creating your plan. Everyone must have input and buy into the vision. There are no shortcuts to formulating a list of attainable targeted goals. Working with co-workers, your sales manager, or an outside consultant / coach is often a great way to get this done. Others sometimes have a knack for identifying strengths and weaknesses that are important for you to understand. Having a combination of short-term and long-term goals is also a good idea. Achieving some early wins will get you excited and helps you understand how having goals will lead you to more success. 1. Set aside some time. Allow yourself 1-2 hours to contemplate your past and identify what you want in the future. Make it a priority to know where you want to go in life and all that you want to achieve. 2. 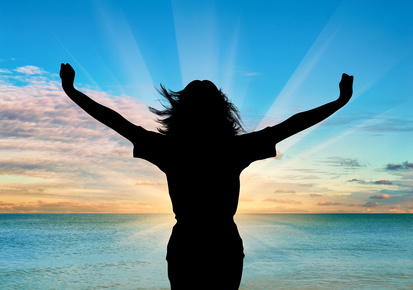 Set two or three attainable goals in three areas: professional, personal and spiritual. You do not want to just be focused on business, as you have more to your life than meeting a quota. Do not set too many or to few goals, as this should not be too easy, nor should it be a burden. 3. Write your goals on paper, using a pen. Later, transfer them to you computer. Print three copies. One copy for you home, one for your desk at work, and shrink a third down so it fits in your wallet or purse. 4. Review you goals often. Daily is best, but at least once a week. Keeping them in front of you and actively thinking about them will make it easier to make the tough choices as you go through life. 5. Take action. Goals are not magic. This is not "the law of attraction" or "The Secret". To be a winner in life takes effort and action. You have to make smart choices on how to focus your time and resources so that you are moving toward your goals and not away from them. Sitting still does not work either, as stagnant never wins. 6. Celebrate victories. Anything that moves you closer to achieving a goal is worthy of treating yourself to something. A round of golf, a massage, etc... are great choices (avoid ice cream or other sweets as treats, as I did this once and gained a lot of weight when I was wildly successful on meeting my goals. This created a new goal of needing to lose the pounds). 7. Share you goals with others. When you tell people you are working toward something, you are more likely to follow through on the efforts necessary to reach your goals. When I was writing my first book, I told as many people as I could. Thus it was not as easy to abandon the project.